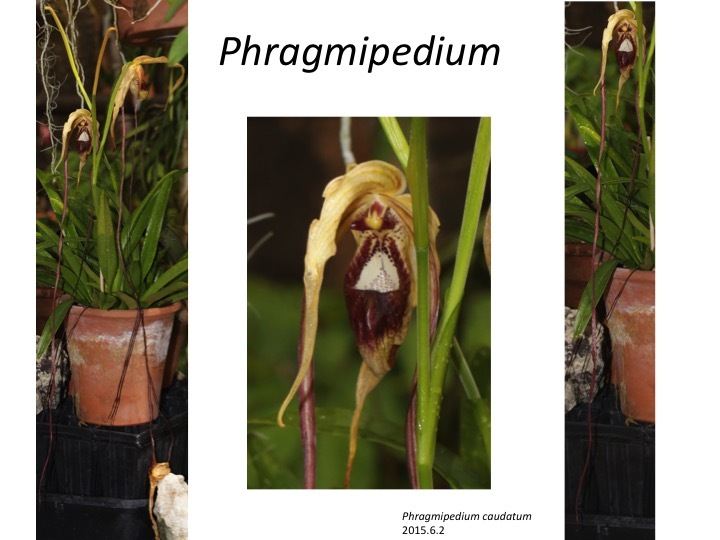 Phragmipedium is distributed in neo-tropics, while Paphiopedilum is in old tropics. Elongated petals evolved in both Phragmipedium caudatum and Paphiopedilum sanderianum in parallel for pollination. The elongated petals bear flagrance glands on the surface and hoverflies climb up to the stamen-gynoecium complex. How do these species change the petal morphology? Why could only these species change? Dressler R.L. and Pupulin, F. 2011. The long-petaled tropical American lady’s slipper orchids. Lindleyana 26: 626-631.